Silybum marianum (blessed milk thistle) is a winter annual or biennial with prickly leaves (family Asteraceae). It is widely spread throughout California in overgrazed pastures and along fencelines and other disturbed areas. 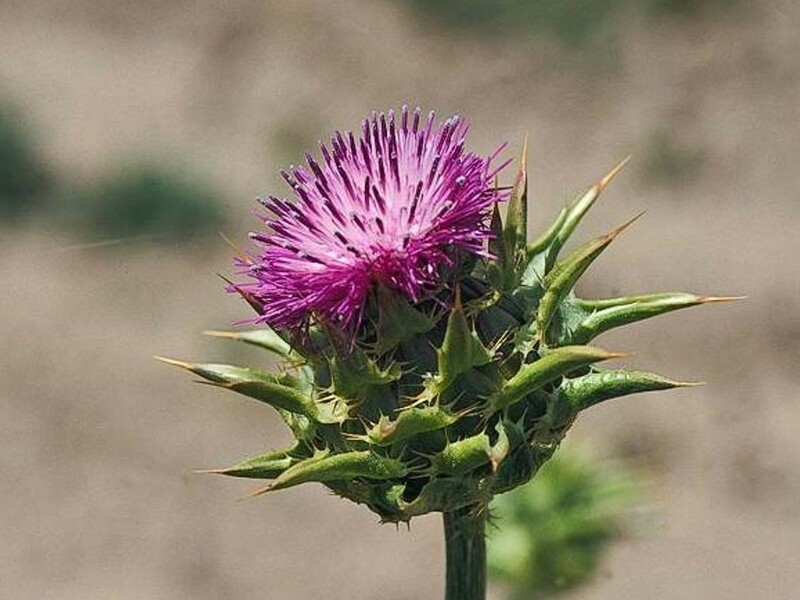 Blessed milk thistle produces tall, dense stands that outcompete native species.